Home-based health care is expanding to become a realistic alternative to skilled-nursing care. A big reason for this is that it helps ensure that individuals living in their own homes have their needs met without hospitalization. However, there are some obstacles to accessing resources, including numerous myths and misconceptions, that could prevent patients from reaching out for assistance. Despite this, numerous home care statistics demonstrate that the benefits of care make it a viable means of caregiving in today’s world. The following are five surprising statistics about home care. Home health care is becoming a popular option for treatment, as well as a means of helping patients preserve their independence and stay in their own home. There are currently 12 million people in the U.S. who receive home health care services, and the demand for professional caregivers is still increasing. Availability will vary from region to region, so check with online resources to find support in specific geographic locales. There is always some level of risk involved when allowing strangers into a home, but this shouldn’t rule out the many benefits of home care for seniors. There are over 12,000 licensed home care agencies and upwards of 20,000 private duty home care companies in this country, so don’t let isolated incidents and stories impact your own health care choices. Vetting can help ease concerns of both the client and loved ones before arranging for care. Only work through a licensed agency. Ask to see proof of certification and licensing. 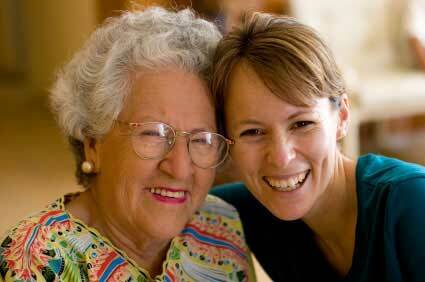 Always make sure any caregiver is insured or bonded. Ask about this when following-up on resources. Go ahead and ask for pertinent information from home care candidates and check out the background, credentials and criminal history of providers. The internet makes this easy to do. Check references. It is not enough to have this contact information. Instead, use it to talk to others who are familiar with the potential candidate. How long has the home care agency been providing services? How about the caregiver? What are the qualifications of the direct-support staff or caregivers? Licensure required? How much are caregivers insured for? Are caregivers supervised? Who is their supervisor and what is that person’s experience? What does the care-plan or treatment-plan look like? What are some goals of service provision? What are the financial arrangements and procedures? What commitment does the consumer have? What if an emergency occurs? Are caregivers available on-call? Is there an assurance of client confidentiality in-place? Additionally, home health care workers will assess the patient to determine the skill-level of care needed, including things like wound dressing, medication management and phlebotomy. True enough, when it comes to home care patients, 70 percent are over the age of 65. However, that does leave at least one-third who are younger and with distinct needs. Home care may be the best option for someone who is recuperating from surgery or an injury that requires some short-term respite care. Home care can also be arranged to provide physical therapy, which contributes to faster recovery time when healing from illness, injury or infection. Making the decision to incorporate home care into your life is a big decision, so stay informed and educated about what is available. Don’t hesitate to meet and interview potential caregivers. After all, taking care of a loved one requires trust and transparency. Access available home care resources to find the level of care needed in a particular area or geographic region. The statistics support the success of home care, and it provides the perfect amount of support, respite and engagement needed for many living independently.